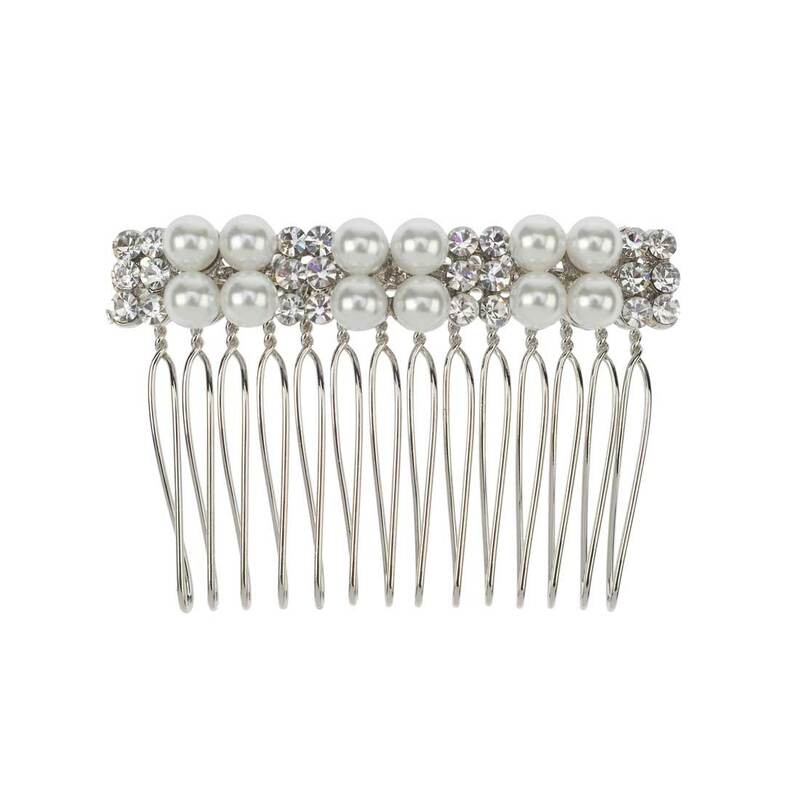 Influenced by the classic 1950s with a hint of modern charm, this understated pearl hair comb is divine. Understated and timeless, this beautiful silver tone hair comb combines influences of classic 1940s and 1950s hair accessories with a hint of modern day charm for a look that is effortlessly stylish. Featuring clusters of four light ivory faux pearls and sparkling clear Austrian crystals, it adorns the hair with an understated elegance.